NASH 77 — the show goes on! I’m excited to introduce your new NASH conference coordinators from The Fulcrum — Andrew Hawley and Jessie Willms! The conference theme and dates have also been chosen, so mark your calendars now: NASH 77 ACCESS will run Jan. 14-18, 2015 in Ottawa, ON. The conference will educate students about the role of the modern journalist in relation to the access they may or may not have. Whether they’re privileged to have it already or are in a constant struggle to get it, access is fundamentally what journalists seek today. 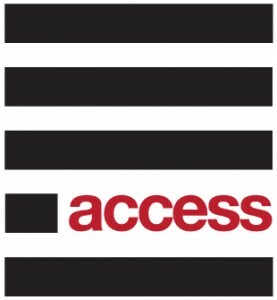 ACCESS’s goal is to empower student publications to become better access points to understanding for campuses across the country through a conference jam-packed with compelling and challenging sessions and workshops. Ottawa will be an excellent venue for this discussion, as it is the cradle of media access to sources of power. The conference itself is going to be run a bit differently this year in terms of its management model. In prior years, conference coordinators were CUP employees overseen and managed by the CUP President. In light of CUP’s current financial situation, this model is no longer possible. For NASH 77, the conference coordinators will be Fulcrum employees and The Fulcrum Publishing Society’s Board of Directors will take on all financial responsibilities, including potential liabilities, of planning the conference. CUP will be involved in an advisory and supporting capacity only. The Fulcrum proposed this structure to CUP in mid-March at a budget consultation meeting among CUP members in order to both retain greater autonomy over conference logistics and budgeting, and to ease the administrative requirements on CUP’s National Office, considering the administrative challenges CUP’s financial crisis presented for the year ahead. Given the circumstances, The Fulcrum’s proposal gives CUP the ability to say that NASH will go on — 100% guaranteed. (Notwithstanding a major norovirus outbreak or some other crazy natural disaster!) We truly owe The Fulcrum a huge thank you for their innovative proposal in a time of crisis and their dedication to their peers at student newspapers across Canada. Both the CUP Board of Directors and The Fulcrum’s Board of Directors have agreed to the proposal and we are very excited to begin the process of planning the biggest and best event of the year, NASH. If you have suggestions, recommendations or questions for conference co-ordinators Andrew and Jessie, you can reach them at conference@cup.ca. For questions regarding the conference management, contact CUP President Erin Hudson or chairperson of the CUP Board Adam Thomas Young. Please note a copy was sent to all CUP members via CUP email lists. By Erin Hudson| 2014-04-09T13:14:42+00:00	April 9th, 2014|Blog, Member News|Comments Off on NASH 77 — the show goes on!